A yurt forum about building and constructing yurts. If you have any questions or just want to discuss your current or upcoming yurt project, come on in! A yurt forum about living with and in yurts. In here we talk about anything yurt related and our personal yurt voyages and day to day yurt life. 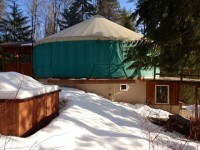 A yurt forum about purchasing yurts. 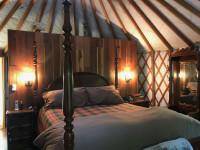 If you are looking for yurt manufacturers or deals, or just want to talk about the entire purchasing process, post here. Methods to power your yurt: grid, off the grid, solar, wind, geothermal, etc.. When you camp glamorously, talk about it here! Yurt industry discussion. This section deals with yurt manufacturer, dealer and general industry issues. Doing the same, with less. Yurt news and media related events. Most users ever online was 1,215, 01-24-2016 at 12:22 AM. Our 3,710 members have created 9,033 posts about yurts, in 1,282 different threads (topics).